I know I say this every year, but seriously, where did the time go? I can't believe that the holiday season is already upon us! Like most, I'm already scouring the stores and the internet in my spare time for toys that will occupy, entertain, educate, and allow my kids to stretch their wings creatively. 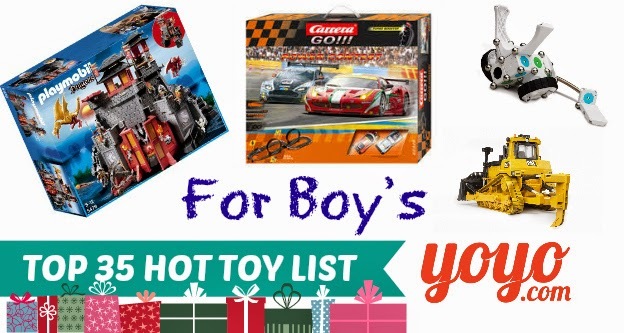 I put a HUGE amount of thought and effort into what we gift our children each year, and I appreciate that the folks at YoYo.com have put the same visible amount of effort into curating a pretty fabulous, 2014 Top 35 Hot Holiday Toy List. "We know that holiday shopping can be quite overwhelming, and we're here to help with the heavy lifting," said Emilie Arel Scott, Senior Vice President of Retail at Quidsi. "We've sifted through thousands of kid-tested toys to create a list that engages children and fosters development. 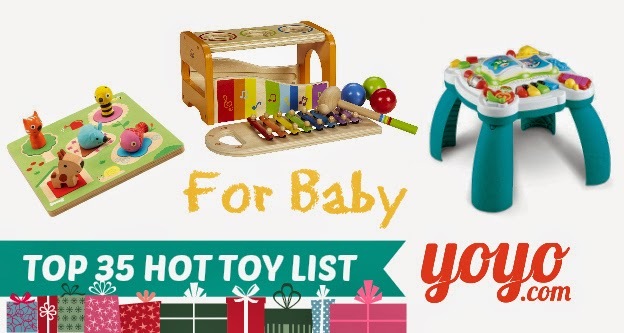 Best of all, these toys can be delivered right to your doorstep in 1-2 days. We want to make the shopping experience easier for parents, allowing them to spend less time in stores and waiting in lines and more time enjoying this special time of year with their families." 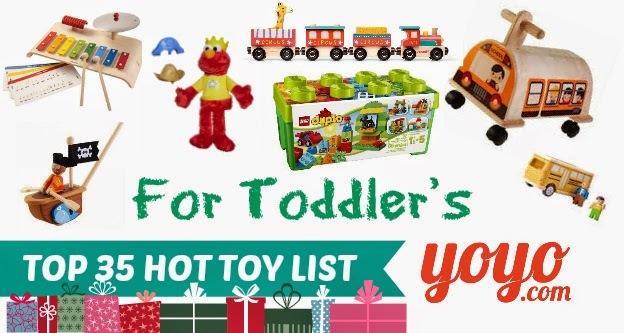 YoYo.com's Top 35 Hot Toy List includes mainstream brands that parents have come to know and love such as, LEGO, Fisher-Price, LeapFrog. 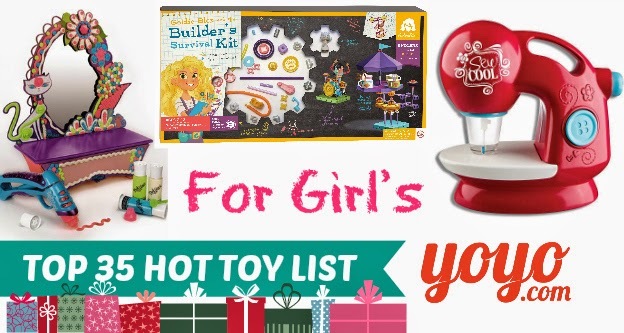 They've also included some great item's from premium boutique brands like Janod, Djeco, and the newest hit amongst young girls, GoldieBlox. Some of these awesome top 35 picks also made their way into our top picks - which will publishing shortly with our 2014 Holiday Gift Guide. Keep an eye out for hands-on video reviews of some of these fun finds over the next few days too! ** Disclosure: Media samples were provided for review purposes. All opinions expressed are our own.